Are You a "Have To," "Want To," or "Get To" Kind of Leader? I Gave Feedback to Your Boss...Oh! You're Welcome! As a leader, one thing is quite unavoidable: people giving us feedback. It can be positive feedback. If so, pinch yourself! Or it can be so-called “constructive criticism.” It’s also why a simple, yet powerful tool called “The Feedback Tree” is so useful. Hi there leaders, my name is General Robert VanAntwerp, a retired three-star general from the Army. Today, I want to share with you a talk by our National Director of Coaching and Development, Chris White. 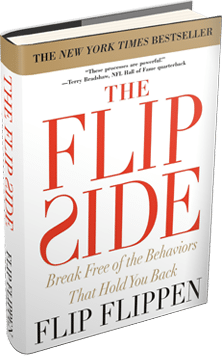 Chris is a New York Times best-selling author of The Flip Side, and in this talk, he explains the four types of feedback and how to filter them. So enjoy this talk, and I’ll be back with you in a few minutes. At the top of the Feedback Tree, it splits into feedback that is either accurate or inaccurate. I’d call this kind of a 20-80 split. 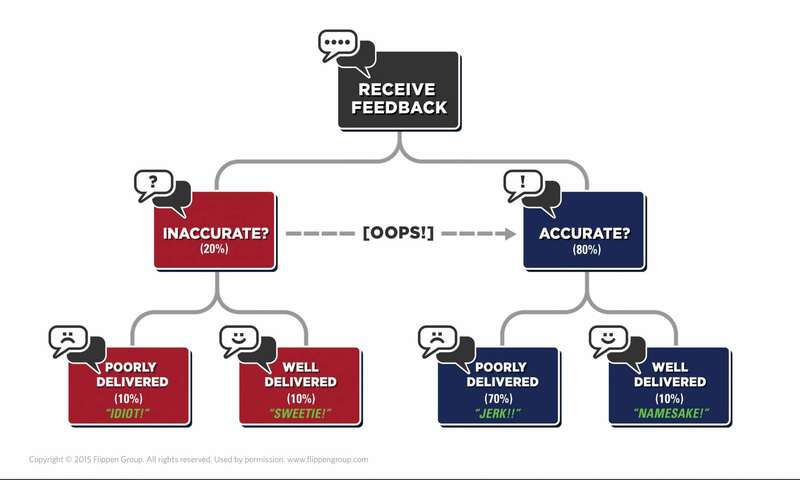 So about 20% of the time you receive feedback, it will be inaccurate, and about 80% of the time, it’ll be accurate. Okay, those are decent odds. Notice I didn’t say, “80% of the time, EVERYTHING they said is accurate.” It’s just that about 80% of the time, there’s some nugget in there somewhere, even if it’s buried quite deeply. Now continuing down the accurate branch, it splits into feedback that is either poorly-delivered or well-delivered. Okay, so of the 80% of this branch, I give this a 70-10 split. So that means that…wait a minute! Only about 10% of the time will feedback that you received be accurate and well-delivered. I call the feedback-givers in our lives who fall into this rare category, “namesakes,” because they’re so rare and impacting that we should name our kids or pets or cars or something after them! That leaves us with 70% of the time, having feedback that’s accurate, but poorly-delivered. Those are big odds. We call these people: jerks… I mean, not out loud, hopefully. You’ve experienced this a lot, right? A little cheap shot thrown in, a trigger word, picking a really bad day, somebody piling on, some type of public scene or public email, etc…but despite the imperfect delivery, there’s still some truth or accuracy to be found. As leaders, we not only have to overlook the poor delivery, because honestly – isn’t it quite expected? If we expect otherwise, then who’s crazy now? Sift through and find the nugget or nuggets of truth. Okay, now let’s go to the 20% inaccurate branch. Even if it seems abundantly clear that the feedback is inaccurate, there are times when only later do we realize there was some truth to it. I call these the “oops…exceptions” that can push the accurate branch actually a bit over 80% where a little bit shifts over. Then branching down from here, on the inaccurate branch, we have an even 10-10 split. So feedback that’s inaccurate but well-delivered happens about 10% of the time, so I call these people “sweeties” because they say it so nicely, but they don’t really have much to say. Then there’s also the people who give feedback that’s a double whammy; it’s inaccurate AND poorly-delivered. This happens about 10% of the time and we call these people: idiots. Then we cease all communication if at all possible with them. Think of the four categories: accurate and well-delivered/poorly-delivered, inaccurate but well-delivered or poorly-delivered. So take a glance at yourself and think of how you would answer that question. Think about that. The challenge, particularly for us as leaders, is not to give up on the feedback process due to the bad odds. You don’t need a statistician to remind you of that! But instead, fight through those challenges! We have to work hard at creating the safety for people to give us feedback. Let’s keep those doors and pipelines open. So don’t give up on asking for feedback and going through the long process of finding the golden nuggets of wisdom to help make you a better leader. If you found this talk helpful, please do us a favor. Click the like button to share it with your friends, and also scroll down to the bottom of this post and answer this question: What are some ways you process constructive feedback to help you and your team improve? So let’s continue the conversation below. We’d love to hear from you! Take care, and I’ll see you soon.